For the past few months, our bustling neighborhood has been developing and growing ever so quickly! All of the changes and additions have been happening right in front of our eyes! Dr. Jessica Emery and team Sugar Fix are so excited to welcome all of the new businesses and residents to the block, so we wanted to focus today’s blog on doing exactly that. Surely you have noticed the beautiful building adjacent to the Paulina Brown Line stop because of its massive size and gorgeous finishes! Inside that incredible building is Centrum Lakeview, which will serve as the home for many newcomers to the area! Studio, one, and two bedroom apartments are still available to rent in this high-demand, boutique living space! With open-concept floor plans and boasting sleek, modern finishes, these pet-friendly units are sure to fill up quickly! 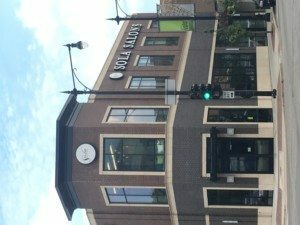 Why wouldn’t you want to be less than a block away from your favorite Chicago dentist?? 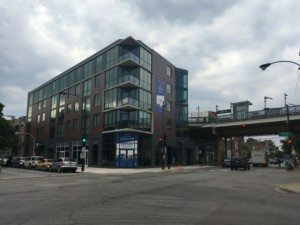 Other building amenities include Pressbox dry cleaning lockers (so you won’t even have to leave the building to drop off your dry cleaning), resident fitness center, and soon Bow Truss Coffee Roasters will be moving in (offering a little friendly competition for our neighborhood Starbucks). Check out the new Centrum Lakeview apartments! Just across the street, you’ll find the new commercial building on the block! Bang Bang Beauty Shop is totally Sugar Fix approved because it takes personal beauty and hair care and adds a holistic spin to shake things up! This hip shop offers haircut and color services, in addition to having makeup artists on staff. Upstairs, you will find Sola Salon Studios, which allows individual stylists to rent an enclosed studio that they are able to personalize and use to run their own business. Taking over the lower level of the building will be Bareburger, a popular organic restaurant that has taken the world by storm (with other locations in Canada, Germany, and Japan)! Offering organic burgers, salads, shakes, and other sandwiches, this will surely be a favorite for the residents of west Lakeview! We love our new neighbors! A few doors down, you’ll come across the “Original Beer Shoppe,” Bitter Pops! This laid-back craft beer haven offers many product tastings, and they are super active on social media (which Dr. Jessica Emery obviously loves about them)! Be sure to swing by to taste a new brew, and follow them on Twitter, Instagram, and Facebook to spread the local love! 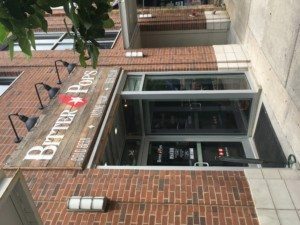 Stop by Bitter Pops for your favorite craft brew fix! We can’t wait for you to see all of the exciting developments around the neighborhood, so what are you waiting for?? Give us a call today to schedule your appointment at Sugar Fix Dental Loft and be a part of this thriving area!